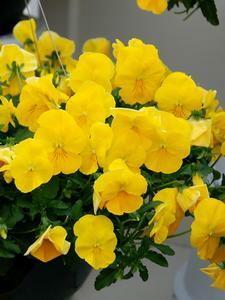 A beautiful cascading yellow pansy, ideal for the garden, pots and hanging baskets. Plant in full sun in winter. semi shade in summer.